The scheme was the idea of Charlotte Roberts-Barr; points can be collected at all shows (except ECHAO), and shows do not have to be affiliated to the AHS to count towards the scheme. The scheme runs from 1 June to 31 May of the following year. Points need to be signed either in the ring or by a show official. There are fabulous trophies and sashes to be won. High Achiever rosettes are also awarded to all horses gaining 140 points or more. There is a cash prize of £25 to each section Champion, kindly awarded by Brenda Marsh. Trophies have kindly been donated by Shirley and Emma Didlick, Claire Bird and Jackie McEwan. We are very grateful to all of our sponsors, who make these awards possible, including: Brenda Marsh, Inscribe Images; Mike and Jaymie Knott, AE Knott Garages Ltd; Denise Warmen, MD Warmen Show Team; Louise Shepard, Halter Ego; and Sue Rushton. 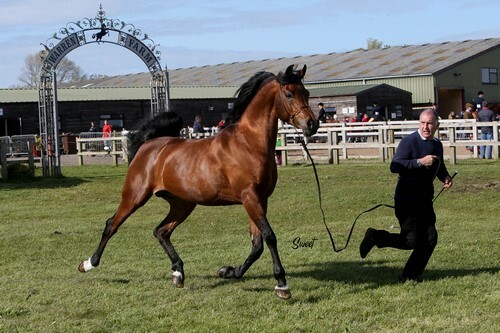 Well done to all our competitors for showing your horses at many non-Arabian shows, presenting to everyone just how versatile our wonderful breed is. This year, we received a large number of completed cards and I look forward to seeing you all next year. 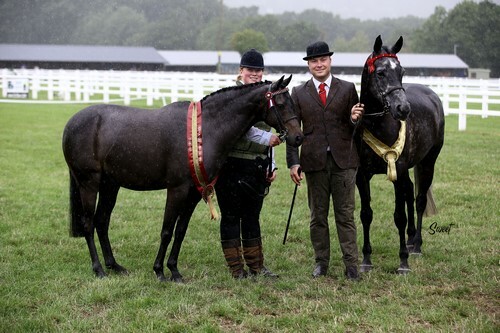 Below is a summary written by each competitor on their horses and at the end of this feature is a video of the award presentation itself – filmed at British National Championships at Malvern this summer in the pouring rain! Mouhra is a three-year old straight Egyptian filly. She was bred in Denmark by Helle and Arne Nielsen of the Svanemosen Stud. She is by Gold Champion Amir SS (by FA Medu Neter) out of Gold Champion Maaysa SS. Maaysa is the only horse in Scandinavia by Ansata Safeer. Several studs wanted to buy Mouhra but Helle contacted Jeanette and asked her to have Mouhra, and she arrived in October 2015. 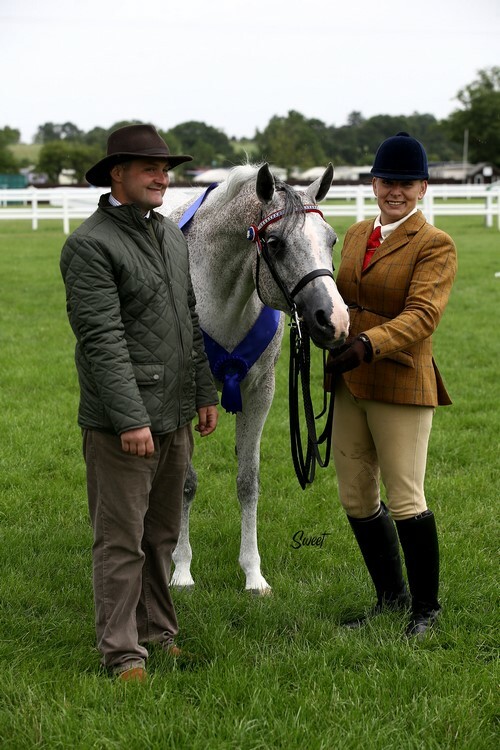 Mouhra started her showing career in June 2016 and since then, she has won, been placed and competed in championships covering youngstock, filly, home produced, Ridden Arabian Star Series (RASS), sport horse, members, amateur, classic head and Egyptian classes. Together with her brother Dahmeer KS, they represented their sire Amir SS in a family group class at an AHS Regional Show and duly won it. Dahmeer is four this year. He is by Amir SS out of the Champion mare Durrah SS (Al Aaqib Al Zamet x Dachee by Ibn Zareefa). Durrah arrived in England from Denmark in 2013 carrying Dahmeer, who was born in the July. You have to go back four generations in Dahmeer’s pedigree before a bay or chestnut is found; his full brother Dinar SS is also grey, so I was convinced Dahmeer would be grey too. However, Dahmeer decided to be different and be bay! 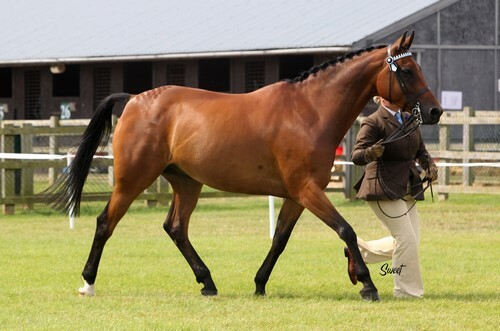 He has shown his versatility in the show-ring, having won and been placed in numerous championships including youngstock, gelding, sport horse, amateur, owner/breeder, RASS, Egyptian and classic head classes. Together with his sister Mouhra SS, they have successfully represented their sire Amir SS in a family group class. Dahmeer KS pictured in 2015. Vernio BK is sired by Versailles and out of SF Minnie Pearl. Two years ago, an advert caught our eye for a three-year old gelding for sale. Needless to say, we took the wagon and drove to Wales to see him. Vernio was tall gangly very friendly and a bit goofy. I was smitten, and so he came home with us and settled in straight away. We took him to a few in-hand shows later that year. 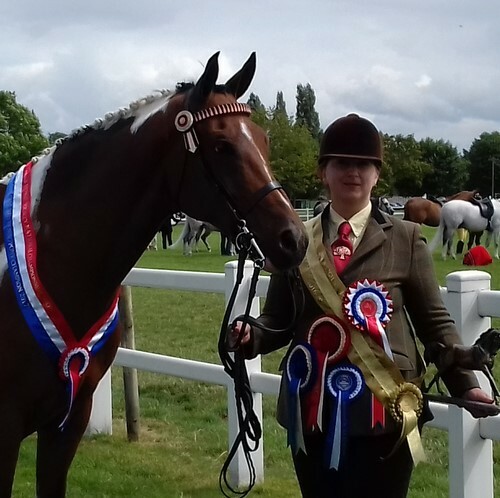 He was second at his first show, then sixth out of 27 beautiful Arabians at the North West Championships and Reserve Supreme Champion at the Festival of Champions. I could not be prouder of him. He is now backed and starting his ridden career. He did his first novice ridden show at the nationals as well as the amateur classes. I am so proud of my boy becoming Bronze Champion in these awards. 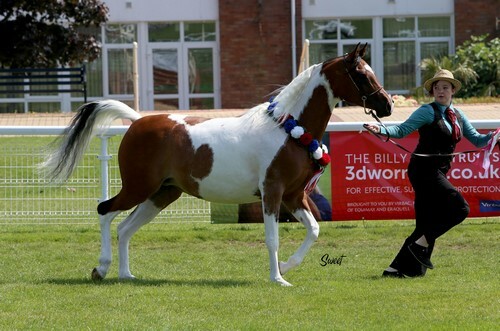 Our fourth place in the purebred section is the stallion Psyrios Contender MWA, owned by Lisa Smith from Yorkshire and bred by Sally Ann Terry. This is the third year running that ‘Connor’ has been placed in this scheme. 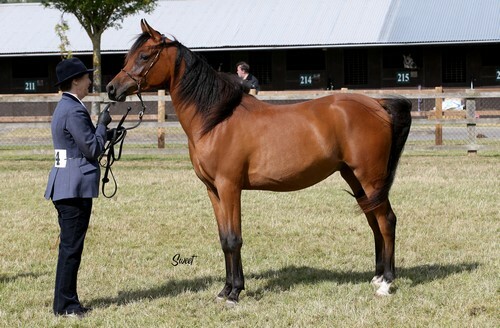 He is the only entire son by Magnum Chall HVP (Magnum Psyche x Taamara HVP) in the UK. Sadly, Lisa and Psyrios Contender could not be tere to collect their awards as Lisa’s husband is battling cancer. Connor has attended many local and regional shows over the last year in the north of England, and last summer they were invited to an Agricultural Show where they were part of a display of many different breeds of horses. There, they showcased the Arabian breed with Connor wearing full costume. This year, Lisa and Connor have started contesting ridden classes and they can be regularly seen building up his fitness galloping along the beaches of Whitby. Psyrios Contender loves an audience, so hopefully we will get to see him here next year. Psyrios Contender MWA pictured in 2015. Having lost her lovely Anglo Arab mare Monclare Somer Grace (Somerset Morgan x Stourvale Tudor), Jeanette decided on a purebred Arabian. She was offered lots of nice horses but as soon as she saw Durrah, she knew she was the mare she wanted. Durrah was bred by Helle and Arne Nielsen of the Svanemosen Stud in Denmark. She is by Al Aaqib Al Zamet (by Ashhal al Rayyan) and out of Dachee (by Ibn Zareefa). She arrived in England in spring 2013 carrying Dahmeer KS. 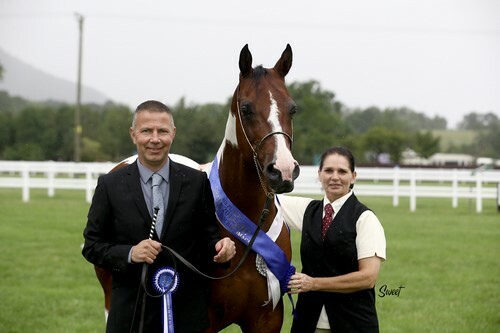 Durrah is a champion, winning and being well placed on the continent at the Danish Arabian Nationals, the Emerald Trophy and the Tulip Cup to name but a few, plus the British Nationals and regional Arab Horse Society (AHS) shows. She is also an AHS Premium mare. We purchased Aja Forever Lace, who is now 12, as a two-year old. She had never been shown but has beautiful bloodlines, being by FS Bengali and out of AR Kioki Lace (by El Shaklan). I trained her myself and decided to show her myself in-hand at local shows where she did very well. I then decided we would have a go at the Arabian shows, Forever Lace was always consistent with her placings. We then bred a foal from her to my stallion and after the foal was weaned, we decided to start backing and schooling Forever Lace. This mare has taught me so much and is my horse of a lifetime; our season will end at the Horse of the Year Show, and we are thrilled to have qualified. Chapelfield Ladies Man, or ‘Darcy’ as he is known, has had a very good in-hand career to date He is a three-time British National Champion and has been Gold Champion in the UK In-hand Awards three times – now four! 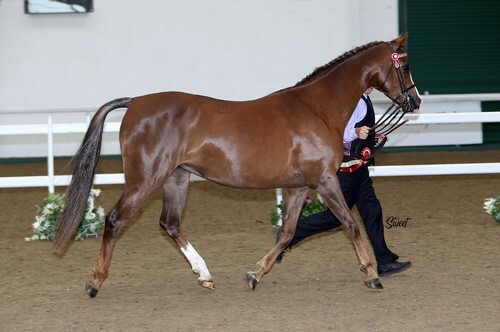 He was also Supreme British National In-hand Part-bred Arab Champion in 2016. Some of his results: won and champion at Royal Cheshire Show 2016; won and champion at Royal Bath and West 2016; won and champion at Derbyshire Festival 2016; won and champion at Royal Norfolk 2017. On his ridden debut this year, he qualified for the Cherif Championships and we are now concentrating on ridden showing. Known as ‘Jay’, Barnwell Drago is an Anglo Arab by Pulsingh and out of Royalle Narishe. He has been shown with success both in-hand and under saddle. Last year, Jay was British National Champion Anglo Gelding In-hand, and he also won his in-hand class at the British Arabian Championships. This year at the British Nationals, he was fifth in the Anglo Versatile Section and Reserve Champion for Affiliated showing. Jay has done a few dressage outings gaining some good results and placings. Jay is was taken in the ring to collect his award by Samantha Foster, Paula’s cousin, as an extension of her grooming duties at shows; thank you Sammy! Barnwell Drago pictued in 2014. ‘Cash’, as he is known at home, is a quirky little character and was bought as a companion pony for Chapelfield Ladies Man. We decided to let Cash accompany Darcy to the shows. He has had numerous wins and championships including winning the under 148cm gelding class at last year’s British National Championships. He is by Coppicebrook Consequence and out of Bracon Tiffany. Known as ‘Taz’, Sulan Top Gun has been owned by Olivia since he was five months now. Now a three-year old gelding, he has been shown successfully since a yearling where he won his class at Cheshire and then competed at the British Nationals, taking Reserve Champion. Not to be outdone, he stood Reserve again as a two-year old. 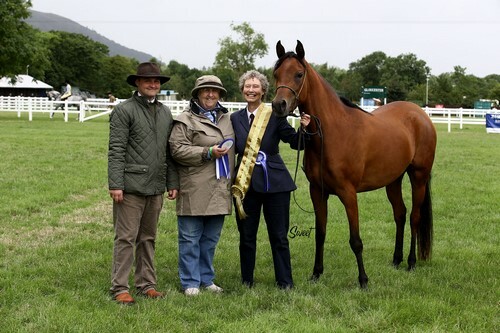 As a three-year old, Taz won lots at local level and then went on to the Northern Arab Show where he won the mixed youngstock class for the part-breds and stood Overall Champion. I am pleased with his achievements so far and feel he has a lot more to give – Taz has a bright future ahead of him as next year, he will be competing in the novice ridden classes as a four-year old. Ravels Picasso has had an amazing season, with many class wins and championships. Ravels Picasso courtesy of Erica Winn. BH Zeta (A Chance of Fame us imp x Jadzia) started her showing career as a six-year old. She gained many wins and championships. 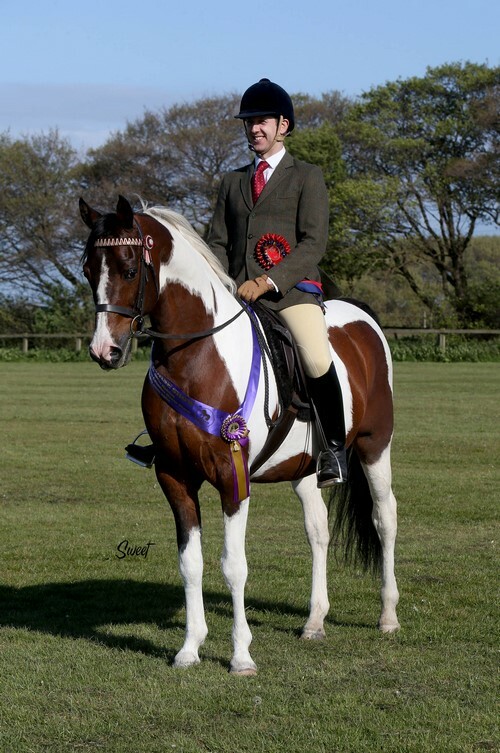 On her first outing under saddle last year, ‘Zeta’ won her class and was Reserve Supreme World Breeds Champion. One of our proudest moments was at last year’s British Nationals, when she became High-percentage Champion with her sire by her side in Reserve. A moment that we will cherish forever. Sadly, we lost Zeta on 3 May this year due to an accident while out in the paddock. It was totally devastating. This award is very special as it is Zeta’s last gift to us. Her sire, Chance, is proud to accept this award for his daughter and will take her for one last trot round the arena. My family and I would like to say thank you for the support and kind messages we have had for Zeta; it means a lot. Terackie Colour By Design, known as ‘Ruby’, is a bay tobiano Pintabian mare. 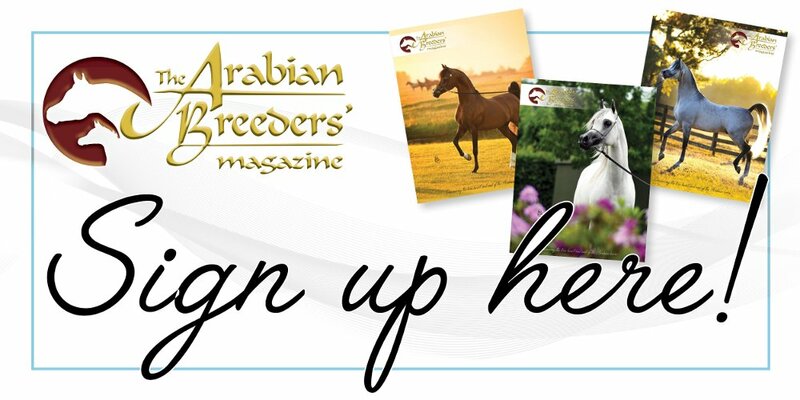 She carries 99.8% Arabian blood being out of a Pintabian mare and sired by Master Design GA. Ruby has been shown with great success since a yearling, winning many classes and championships. Her finest hour was in 2013 when she became British National Coloured Champion, a prize her son, Terackie Psynsatonal Design, also won in 2015. Ruby has proven herself as a great dam and also a great riding horse, winning her class and taking Reserve Champion at her first ever ridden show. She has the sweetest temperament, is kind and gentle, and a real show off when she needs to be. Ruby really is my dream horse. A Chance of Fame (Spotacular Fam x Estopa YM) is an American National Show Horse, bred at the Yellow Medicine Herd Stud in Minnesota. ‘Chance’ has had an amazing showing career with many championship’s under his belt, including the 2016 British National Coloured Champion and Reserve British National High-percentage Champion; a very proud moment for us. Chance had his 16th birthday this year, and he isn’t quite ready to retire yet! He loves being in the show-ring but is venturing into the dressage arena later this year, as well as taking some time out to just enjoy hacking out at home and on the beach. Chance is my world, my best friend, and my horse of a lifetime. A Chance of Fame A Chance Of Fame pictured in 2015. Future Inferno has had a fabulous season with wins and two championships. Legend Hawk Moon is a horse of dreams in many ways; he has achieved more then we could ever have dreamt of. In 2012, he was Reserve Supreme Palomino Champion behind his full sister; then, in 2014, he went one better and was Supreme Champion as well as Champion Part-bred Arab exceeding 14.2 and Male Palomino Champion. 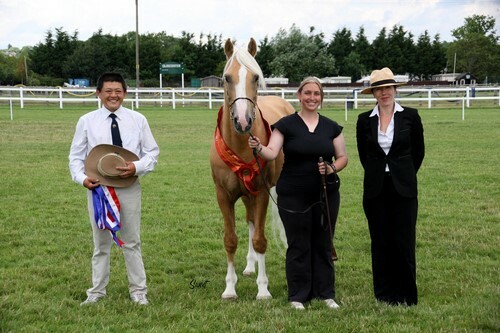 In 2013, Hawk Moon was British National Champion Palomino. He won many more championships after these, including the elusive Three Counties Palomino Championship this year and was Champion of Champions Palomino of the Year for the fourth year running! Hawk Moth has an easy, lovely nature for a stallion. He has his first foal on the ground, who was unbeaten as a yearling last year, and his next foal is due next year which we already have high hopes for. We can’t thank this boy enough for where he has taken us and all that we have achieved together. Legend Hawk Moon pictured in 2013.